Summer is about a month away, which means it’s not too early to start salivating over -- er, talking about -- the most anticipated restaurant openings of the sunny season. Whether you plan to belly up to the new bar of an Eastside steak master or enjoy elegant Northwestern specialities at Ethan Stowell’s newest eatery, here is what and where we’ll be eating this summer. Yes, Ethan Stowell’s highly-anticipated restaurant inside the Four Seasons Hotel officially has a name. Goldfinch Tavern is named for the state bird of Washington and is slated to open in June in the former ART Restaurant & Lounge space. 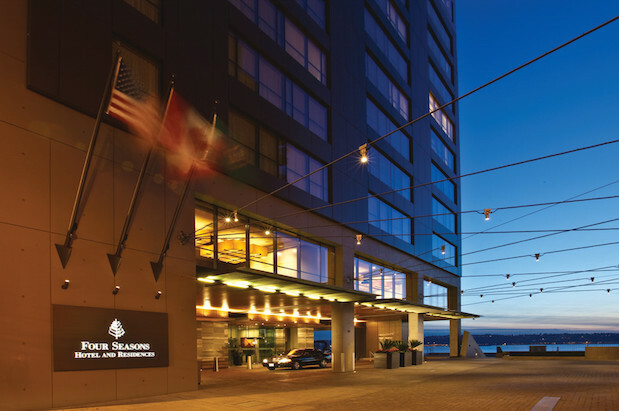 The restaurant will offer posh Pacific Northwest cuisine using regional ingredients and served in a maritime-inspired dining room with a central stone-topped bar and sweeping views of Elliott Bay. Chef Joe Ritchie (Mkt.) will head the kitchen. After years in the high-end steak and seafood business, chef John Howie (Seastar, Bellevue's John Howie Steak) is getting ready to unveil his pub-restaurant in Bothell (19116 112th Ave NE). As he told Eater Seattle, the gastropub-style restaurant will churn out pizza pies with a specialty malt dough as well as flat-top burgers, charcuterie and a lineup of 10 sausages (including chicken mole sausage) as well as pickled goodies and artisanal cheeses. It's all meant to pair with beer, and Howie plans to start with 12 on tap with curating help from brewer Drew Cluley (Pyramid, Pike Brewing Company). We heart Ericka Burke. On May 5, the chef behind Volunteer Park Cafe opened Canal Market, an old-fashioned deli and mercantile shop in Portage Bay. Now, Burke is looking at a June opening for not one but two more eateries, this time in the mixed-use Chophouse Row. Chop Shop Cafe (1424 11th Ave.) will be a neighborhood cafe and bar open for breakfast (Euro-style buffet), lunch (salads and sandwiches) and dinner (seasonal veggies and nightly “chop”). In addition to fresh juices, you’ll be able to get top-notch olive oils and other goodies at the Chop Shop Juice & Provisions. Moroccan cuisine brings together the flavors of many different cultures. At Khalid Agour’s upcoming fusion tapas lounge (4160 California Ave SW), you’ll be able to sample dishes from French, Jewish and Spanish cuisines. According to West Seattle Blog, the restaurant, which will have a full bar, is named after Agour’s late mother, Itto. The restaurant is slated for a July 1 opening. We know you know. Autumn Martin is opening a second outpost to her much-loved, always-packed Ballard chocolate molten cakery. But did you also know that the Capitol Hill location (1650 East Olive Way), which is pushing for a July opening, will have more space (2,200 square feet and 50 seats), more boozy shakes, handmade ice cream and a covered patio with a s’mores fire pit? Ok, just making sure. Save us a seat.